Lincoln Hill Limekilns - office23s jimdo page! 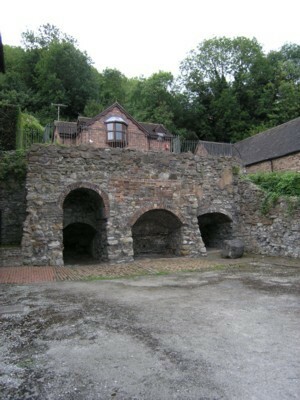 Industrial heritage is scattered about ironbridge and the surrounding area, the Lincoln Hill Limekilns could easily be missed as you dash around the town from museum to museum and historic site to historic site. Free to walk up to, touch and photgraph this sites proximity to the surrounding buildings, the road and the river gives a very strong impression of how the town once felt - enclosed, claustrophobic, hot and fiery; every inch the birthplace of the industrial revolution. Under tremendous heat, rock-hard limestone was transformed into powdery-fine lime in the limekilns. Limestone, first quarried and later mined, was brought from the vast deposits on Lincoln Hill, which rises above the kilns. 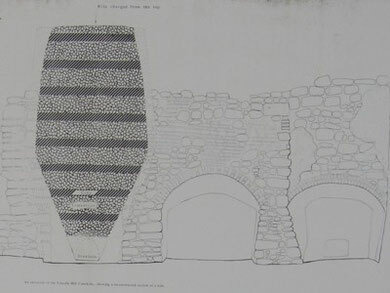 Though lime kilns have been found in the Gorge since medieval times, the kilns here operated from 1760 to 1870 when Lincoln Hill supplied huge quantities of limestone to the surrounding iron furnaces. The best stone, no doubt, was sent to the furnaces and the lower grade stone was used to make lime. The continually burning kiln was charged from the top with alternating layers of limestone and fuel, usually coke. The kiln often burned for a week or more to convert the limestone into lime. Under the intense heat of the kiln, carbon dioxide was driven off from the limestone to produce lime. As the kiln burned, lime clinker fell through the draw hole at the bottom of the kiln and more fuel and limestone were added to the top. The clinker, large clumps of lime, was then slaked with water. The lumps of lime absorbed the water, expanded, and crumbled into a fine powder. The lime was ready to be used by builders for mortar, and by farmers as fertiliser.